Following the news that Matt Smith is to step down as the lead role of "The Doctor" in the BBC's flagship science fiction series "Doctor Who" the media has begun the guessing game of who is likely to replace him. Speculation is rife that this time it is possible that for the first time the doctor may be played by a black or female actor. This notion has caused controversy in online forums and on the comments sections of news articles with many users registering their anger at the notion that the Doctor may be played by anything other than a white male. "The United Kingdom Independence Party has long had its finger on the national pulse," He explained, "Over Immigration, over Europe, over wind farms. You name it, if the Daily Mail comments section is outraged about it then we will campaign to stop it, because as everybody knows � there is not a more democratically reflective cross section of society than the people who write angry comments and click the red arrows on the Daily Mail website. 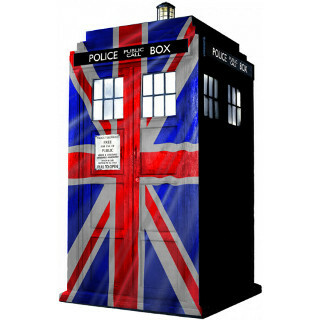 UKIP is also believed to be campaigning for the TARDIS is be redesigned in a more patriotic colour scheme. "The Doctor is the most powerful, most intelligent being in the whole of time and space. Now I know that the writing is far-fetched and exists in a fantasy universe but do you really think people would think it was realistic if it was a woman? "As for the suggestion that he is black or he might be gay� This show is a classic British TV series; it's supposed to reflect traditional British values." "An alien? I didn't realise that. If that's the case it's official party policy to deport him." David Cameron "Wants to be New Doctor Who"